Alison Chiam Art Workshops Jervis Bay - Alison Chiam Artworkshops Jervis Bay - Keep up to date with the latest workshop and artist news in our Blog! Applications are now open for a one-off Grants program. Grants of up to $3,000 are available for activities that support individual artists, arts workers and/or small groups to further develop and enhance their skill-set, connect with peers and build sustainable careers through professional development activities. Indigenous artists are encouraged to apply. Download the Arts Practitioners Professional Development Grant Application 2018-2019 and Guidelines below or pick up from Shoalhaven Regional Gallery, 12 Berry St, Nowra. All enquiries to Arts & Culture Manager, Bronwyn Coulston on (02) 4429 5444. Applications close on Friday, 10 May 2019. In 1841, the American painter John Goffe Rand patented the metal paint tube. 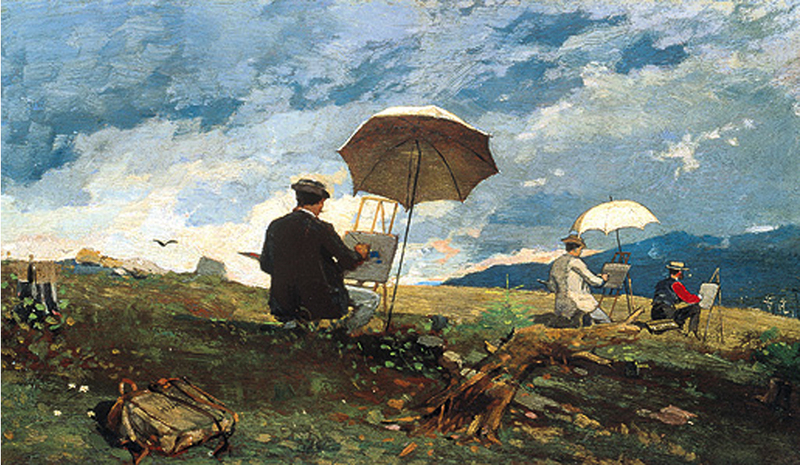 With that simple piece of equipment, he launched the practice of painting outdoors known asplein air painting, which is still gaining followers to this day. Pronounced “plen air,” and popularized by theImpressionists, this method of painting has long seen artists taking their paints and easels outdoors and working from direct observation, striving to capture the light, color, and movement of the world beyond their studios. The paint tube allowed artists to carry paint without worrying that it would dry out or make a mess in their bags, but it was the first invention of many. Today, there is a wide array of equipment devoted to servicing plein air painters. There are easels and accessories to suit your needs, whether your goal is to paint in a city park, or at the top of a mountain. Plein air easels fall into four categories. Field easels are the most basic plein air option. These three-legged easels are made of wood or metal, and do nothing more than hold a canvas. While they are lightweight and inexpensive, field easels lack the convenient storage and palette-holding capability of more elaborate easels. You may want to add both brush and palette holders (which you can clip onto your easel) or bring along a small folding table so that you won’t have to put your tools on the ground when you’re not using them. For their plein air paintings, the Impressionists used French easels, which are still a popular option thanks to their many useful features. Available in wood or aluminum, this style offers ample storage compartments for a palette, paints, mediums, and brushes, and even has a place to hold a finished, wet painting. Its attached, adjustable legs fold up against the body of the easel to create a suitcase shape, which is easy to carry using a shoulder strap or handle. The traditional wooden French easel is sturdy and economical, but can be heavy when fully loaded, so you may want to consider a lightweight version if you intend to carry your gear for long distances. The French word pochade means a rough or quick sketch; pochade boxes are well-suited for small works. They’re compact and lightweight enough to fit into a backpack, making them ideal for painters who hike to remote locations to capture the views. And while they have less storage than French easels, pochade boxes do have interior compartments for a limited number of paint tubes, cups, and small tools. The bottom of the box contains a palette and storage compartments or drawers, while the hinged lid opens to become an easel for your painting panels. One downside of the pochade box is that it doesn’t have legs. You can hold it on your lap, use it on a table top, or mount it to a sturdy camera tripod, allowing you to stand while you paint. If you choose to use a tripod, make sure it’s equipped to carry the weight of your pochade box, as most are designed for the lighter weight of a camera. Another option is an easel system that’s built around a strong tripod. These arrangements are made out of wood or metal, and have two basic components: a palette holder that attaches to the tripod legs, and a panel holder that fits onto the head of the tripod. Tripod systems are lightweight and can be set up quickly, and their palette surfaces are often larger than those of the French easel and the pochade box. Having a generous area for mixing means you’ll spend less time cleaning your palette as you work, and it makes it easier to work on large paintings. Like the field easel, however, these easels lack storage. You’ll need a backpack or cart, as well as a panel carrier to transport your paints, brushes, and wet paintings, along with the easel components themselves. There’s a tempting abundance of equipment on the market to accessorize your plein air easel. You can purchase clip-on brush holders, shelves, clamping umbrellas to shield your canvas, paper towel holders, and more. However, since each piece of equipment increases your easel’s weight and setup time, it’s worthwhile to do some trial runs with your easel and a minimum amount of equipment before purchasing these extras. You’ll quickly determine which accessories would improve your plein air experience. Along with your easel, brushes, and tubes of paint, the following items may be useful for painting outdoors. While initially gathering an easel and other equipment may be a daunting prospect, the rewards of plein air painting will become obvious from the first time that you work outdoors. Paintings created under the abundant light of the sky are imbued with a sensation of time and place that’s difficult to achieve from a photographic reference. They are a direct visual response to the world around you. Roslyn Oxley9 Gallery is delighted to present new works on paper and sculptures by John Wolseley in One Hundred and One Insect Life Stories. This exhibition includes work from his collaboration with the great Yolngu artist Mulkun Wirrpanda but also charts the artist's more recent fascination with the insect and mollusc life of East Arnhem Land and the invertebrates which he encounters around his home in the Victorian Mallee. John Wolseley is one of Australia's most important artists. The artist portrays the Australian landscape and its ecosystems by combining collage elements and markings made 'in collaboration' with the natural environment. These works celebrate the beauty of the Australian wilderness and encourage an understanding of the significance and environmental fragility of these remote and little-known sites. Helen Eager & Angus Nivison are finalists in this year's Dobell Drawing Prize, an acquisitive award and major exhibition exploring the enduring importance of drawing within contemporary art practices. NETS Victoria and Monash University Museum of Art (MUMA) have come together to present the show. Beginning at Horsham Regional Gallery, it will also travel to five other regional galleries throughout Australia in 2018 and 2019. Initially sparked by MUMA curator Samantha Comte, and later picked up by fellow curators Francis E Parker, Hannah Matthews and Helen Hughes, the exhibition was developed to foster greater regional engagement with MUMA’s collection. “We wanted to work with NETS Victoria to make connections with the regional gallery network and to show the Monash University collection further afield than the University campuses,” says Parker. Seeing voices also features works outside the scope of the university’s holdings. The show includes a series of live performances, and works by Alex Martinis Roe, Alicia Frankovich, Angelica Mesiti, Bryan Phillips, Catherine or Kate, Clinton Nain, Damiano Bertoli, Erik Bünger, Fayen d’Evie, Léuli Eshraghi, Michael Cook, Rose Nolan and Susan Hiller. By approaching the voice from a visual art perspective, the exhibition transposes a sonic medium across drawing, painting, photography, sculpture and video.